Ready to kick the habit and discover the benefits of vaping? 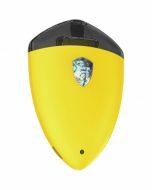 The Sigelei Compak Pen 350 mAh Pod System Starter Kit with 1.6mL Refillable Pod is the perfect way to transition from smoking to vaping due to its ultra-portable, easy-to-use design. The starter kit gives you everything that you need to get started with a vape pen, a refillable 1.6-milliliter pod and a USB cable. The Sigelei Compak Vape Pen was designed specifically with the needs of beginners in mind. 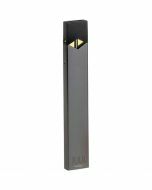 At 21.1 millimeters by 11.2 millimeters by 112 millimeters in size, the vape pen is ultra-compact and easy to take with you on the go. 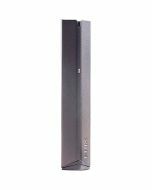 The compact size allows you to discreetly vape in public, so you can satisfy your cravings for nicotine as easily as you can enjoy a cigarette. Fabricated out of stainless steel, the vape pen is ready for the wear and tear of life on the go. 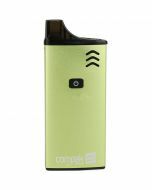 To eliminate the hassles of filling common with other vape pens, the Sigelei Compak Vape Pen has a refillable pod system. 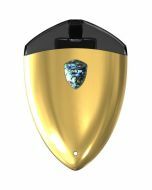 The pod can hold up to 1.6 milliliters of e-juice and is simple to refill, so you can experiment with different flavors and find the one most pleasing to your palette. 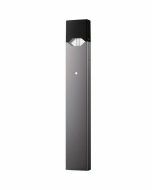 With the Sigelei Compak Vape Pen, you can vape on demand with the push of a button. The large power button on the front of the sleek pen doubles as the firing button. As a result, you won't have to master a complicated setup to begin using this vaporizer. The comfortable mouthpiece allows for an easy, free draw. Ergonomically engineered, the vape pen fits easily in your hand. Monitoring your Sigelei Compak Vape Pen is simple, thanks to the light indicator positioned above the firing button. The light will let you know when you need to plug your vape pen in with the included USB cable for a fast recharge. A built-in 350 mAh battery means you don't have to worry about removing the power cell and using an external charger. Make the switch to vaping the easy way! 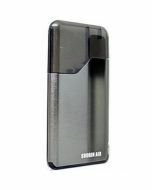 Order the Sigelei Compak Pen 350 mAh Pod System Starter Kit with 1.6mL Refillable Pod and say goodbye to the hassles and risks of smoking for good.